While Pure Chess became the first cross-platform multiplayer title on Nintendo eShop stores, Cubemen 2 arrives with a far more complex and potentially rewarding setup. Developer 3 Sprockets and publisher Nnooo have done an admirable job on a technical level, but importantly have also served up an entertaining real-time strategy title that's relatively unique on Nintendo's store. An important details for those interested in Cubemen 2 is that it is entirely dependent on the GamePad and its touch screen. Battlefields can be navigated with a mix of touch and button inputs, with camera movement that can also be controlled with the analogue sticks. It is, in early moments, a slightly baffling setup; selecting a unit and its destination is done with taps, yet the quickest way to shift the view is with the analogue options, meaning a one-handed stylus effort while holding the controller. The TV is simply for display purposes and to entertain potential onlookers, but the player's eyes are glued to the controller's relatively small — in the context of this experience — screen. To address this right away, it highlights both a strength and weakness of the entire reasoning behind this release. An experience available on PC and tablet devices, what we have here is a mix of control schemes only possible — in console terms — with Wii U. However, the modest resolution and size of the GamePad screen isn't a perfect fit, and this feels like a rather nice PC interface crammed down onto a limited touch screen — with some physical inputs mashed in. It's functional and becomes manageable with practice, but it is a square-pegs-round-hole solution; it's the only control scheme, so you need to get used to it. Once you do become accustomed to the control setup there's a well-structured, enjoyable strategy game. 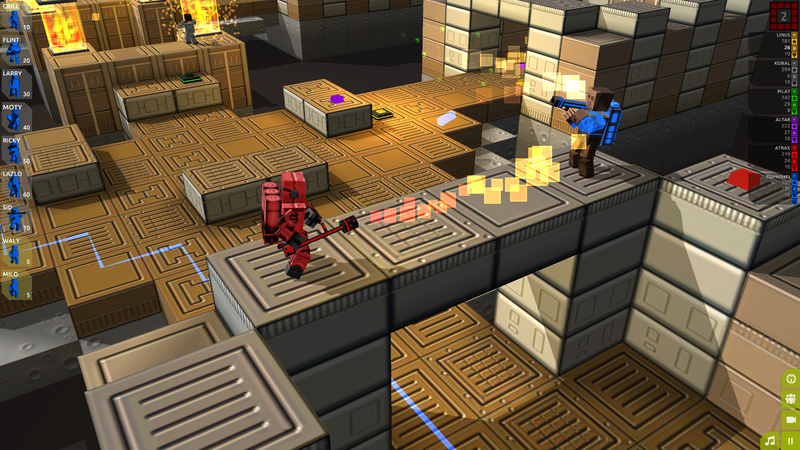 The Cubemen come in a range of classes that cover the standard bases; affordable pea-shooters, rocket launchers, laser weapons and even units that function as walls and mines. It is, as would be expected of a real-time strategy title, a matter of momentum — earn 'cubes' (currency) by destroying enemies and then invest in more units, building your forces. That's not to say that a bad start puts hope beyond reach, but strong performance early on is hugely beneficial in securing victory. The stage design, meanwhile, contributes well in making contests entertaining and, importantly, tactical affairs. While the aforementioned momentum is important, it must be combined with clever placement; the 20 pre-set levels provide a nice variety of layouts, with high-points for snipers, choke points to control and all sorts of considerations to take into account. The only flipside is that, in matches with multiple teams (sometimes upwards of four) fighting in a relatively small space, keeping track of proceedings and navigating around can be bothersome; this issue comes back to the GamePad controls. There are undeniably terrific moments, however, and these fixed stages provide solid entertainment across the many modes. There are plenty of options for a match, too. There are two single-player only modes — Defense and Rescue — which are relatively self-explanatory; the former tasks you with holding your base, while in the second there are AI civilians trying to walk to your base that require protection. 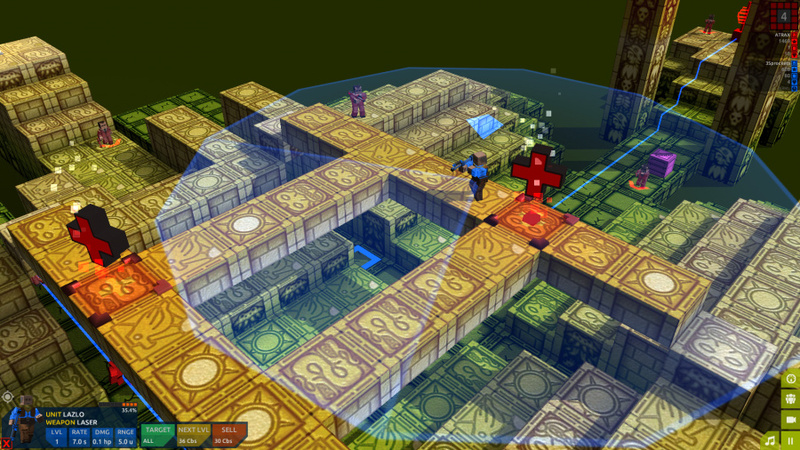 Rescue is particularly interesting in terms of managing terrain, while Defense has two campaigns (of 15 levels each) which serve as the only truly fixed challenges in the entire game; they offer serious challenge in later levels, and are useful for learning and then mastering the core mechanics. Beyond these options are five multiplayer modes, though the rules — as is also the case in the single player modes — can be customised in areas such as number of minutes, waves, players, whether you seek online opponents or take on AI bots etc. Skirmish is a simple affair of killing other enemies, while Capture The Flag is a welcome mix of defending your own base and escorting an automated minion after an opponent's flag. King Of The Hill is a standout as teams fight over a small designated area, all aiming to control the territory for the longest period, while Defector limits your units and allows you to control enemies that you kill, which is short, intense and fun. The only mode we consider a letdown is Territory, in which you use units to move around the map and colour it in; it's extremely difficulty to keep track of your units and keep them busy, while also fighting enemies — on a more natural system / platform it may feel more manageable. In our experience these multiplayer modes are reliant on taking on AI bots — albeit with adjustable difficulty settings — due to an absent online community. While it seems there are plenty of user-created levels from across the various versions of the game (which we'll come to shortly) there's very little live action. When looking for matches to join we'd be lucky to see one player in the list, and when hosting we only managed one brief game — in which the opponent bailed early — in all of our attempts. There's almost no live online multiplayer happening at the time of writing, in other words, so unless you liaise with a friend to setup and join a room, this aspect of the experience may be — unfortunately — left almost entirely unfulfilled. Thankfully the customisation on offer means that plenty of enjoyment can be enjoyed in single player. Also pleasing is that cross-platform level sharing provides a great deal, with the interface allowing you to play and mark some stages as favourites, while exploring shortlists of the newest and most popular creations. Trying a stage and giving it a thumbs up is easily done, and for those truly engaged in Cubemen 2 it adds plenty of value. On top of this is the level creation tool, which works nicely in its touch-based format. It's self-explanatory, with all of the required tools in place to create impressive, multi-tiered environments, while it's relatively clear in its instructions when rejecting a design. The potential is endless in that sense, and we're sure many will hope to upload a level and track its thumbs up votes; it's thoughtfully implemented and will suit aspiring game designers, in particular. Beyond these options are a host of customisable skins that add greater character to the overall package, rounding off what is a strong offering. Despite the admirable effort, however, the fundamental issue of incorporating this game onto the Wii U remains a millstone around its neck; the small-ish touch screen, fiddly controls and occasionally frustrating task of precise inputs when directing troops takes away its sheen. An interface and range of buttons far better suited to a mouse, keyboard and monitor are functional here, but never feel optimal. 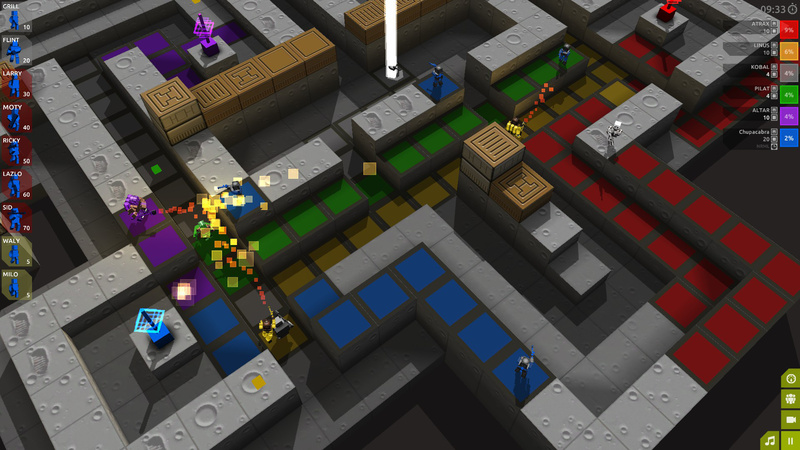 Cubemen 2 is an interesting title for Wii U owners, bringing real-time strategy on interesting 3D stages to the GamePad. Plenty of modes, an endless supply of user-created levels, a solid level creation tool and a sound premise all contribute to providing excellent value. That said, there's a niggling sense of compromise in the controls and interface that can be slightly prohibitive or, at worst, frustrating; the absence of an active online community for live matches is also an issue. For fans of the genre that are happy to master the controls and live with compromises this still represents an attractive option, nevertheless. Sad to hear online is dead, I know I'd buy it if there were matches to be had. I agree with online is dead, is sad really.But i still love the title, i been playing it alot in single player,but sometimes the touchscreen can be your worst enemy when you're playing. 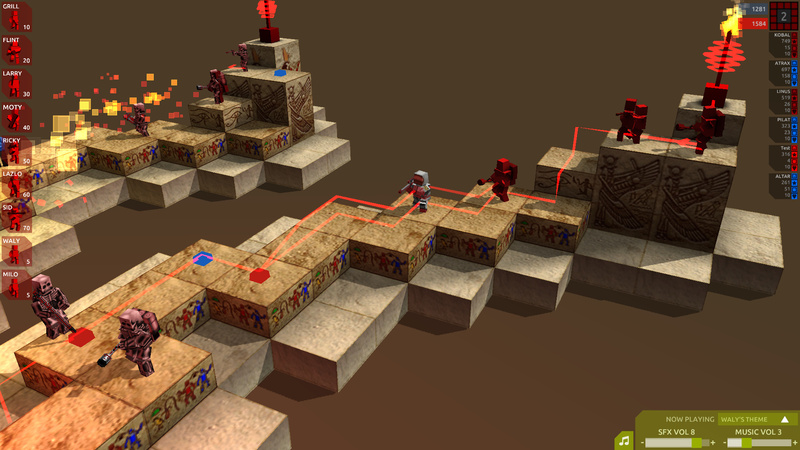 Cubemen 2 is on Humble Bundle now for Android, PC, Mac and Linux. This could spawn more online games. I have cubemen 2 installed on Wii U, Steam, Galaxy Note 3 and Galaxy Tab 2. I had a difficult decision to make on the eShop between this and CastleStorm, and eventually, Cubemen won. It's not too bad, except for the wonky controls and the lack of online players. The game seems like it could get pretty epic at times and I had a good time putting a level together. I haven't played much of it, since I'm trying to play through EarthBound, but it's good to play a quick round or two when trying to kill some time. I got this the first week it came out and it's a lot of fun but not enough people are online playing it and when they are matches aren't set up properly and can become frustrating. Still over all once u get a good strategy down those victories are very satisfying. very good game, and i wouldnt describe online as dead its just a matter of timing. or you could say its not dead its just sleeping(or pining for the fjords). the single player is excellent and unique. the multi will get better with an active miiverse. I love this game and I'd recommend it to anyone who loves Tower Defense but, like everyone's been saying, the online is almost completely dead (you'll be lucky if you find one match) and the controls aren't the best. Also, the game forces you to look at the gamepad which is a shame because the graphics on the TV are so good! All in all, I'd give this game an 8.5 out of 10! 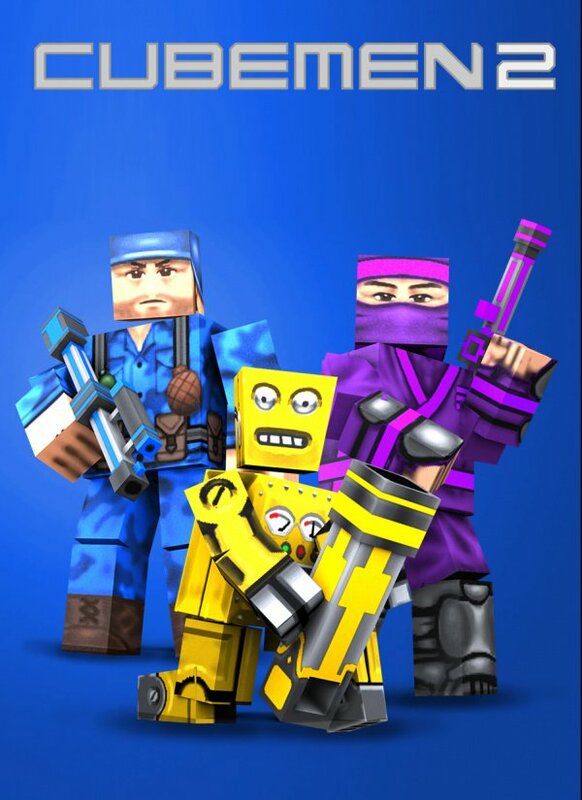 To be honest this game looks like Roblox. Anyway a 7 is good in my book, so yeah. I'll definitely buy this eventually. I am not the greatest fan of the genres this game represents, but I play both, tower defence and RTS, on occasion. Still, because of the stylus, I have been especially anxiously waiting for an RTS game for Wii U, and this is why I welcome Cube Men with open arms! 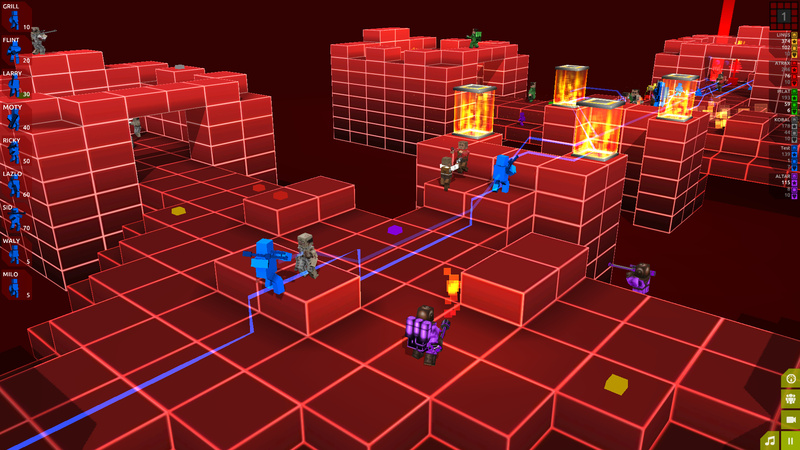 I have also desired a multiplayer tower defense game and thus Cube Men 2 answers two of my prayers at once. A Cannon Fodder -like game. As action packed as ever, but this time with much increased tactical possibilities. Player would control a squad of handful of soldiers with stylus by drawing routes for them and perhaps still have direct control for the main character on the TV. As mentioned above, this game is better than a 7.0. I'd give it an 8.5. As mentioned, at times the controls are a little tedious but not anything terrible. For $8, this is great value. I'll probably be playing this a year from now an log 60-80 hours on it. Online is dead, huh? Guess that is one of the problems when you review a game before its out. No real sense of if the online community is there or not. I was able to find matches when I was reviewing it but it was all against other writers. Too bad, game is fun enough to where I was hoping it would have gotten its own little niche community. I'd give this game 3. It's only Wii U Gamepad playable. Big screen is only for show. Not worth the money or effort for Wii U. Other platforms are better. Loving this game. Have no clue why there is no online play given I can tell people own by the number of Miiverse posts. It's a ton of fun, and besides accidently clicking on the wrong guy now and then on bigger maps, I love the controls. @JakobU What is wrong with a game required to be played on the GamePad? Its really the only way this game could work on the Wii U. @WiiLovePeace Did you end up buying this? You said you would eventually so I thought I'd check. It's half price right now so I came to read what everyone thought because I'm considering buying it.